This pub is adjacent to Hanley 'bus station and a real unspoilt gem. I think the threat of demolition still hangs over this pub but it is still surviving, a good traditional four roomed small boozer with a drinking corridor. We sat in the snug and relaxed with a couple of pints each. There was one other beer on offer which I failed to note down but I think it came from Limestone Brewery. 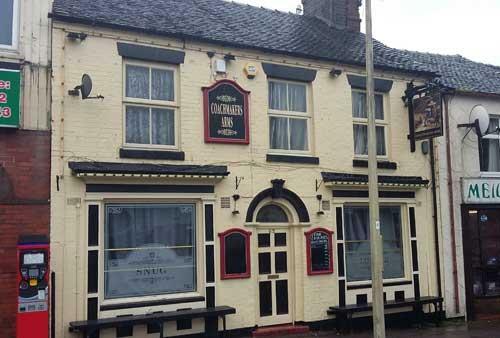 Pub still under threat of closure for the "regeneration" of Hanley. It's a proper Victorian house, the beer is always in good order. Just a shame the selection is a little underwhelming. Friendly banter about wasp nests and much more. The pub is found in Hanley, Staffordshire, ST1 3EA. 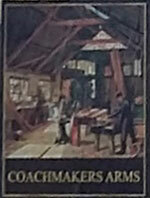 A very traditional boozer with multiple rooms and served from a central bar. Beer range is not as good as it was but is in good order. Extremely friendly locals. Under threat from closure for a long time due to the regeneration of Hanley and the next door bus station, but this threat is now considered to have receded. We have visited this pub 4 times, seen 8 different beers and tried 4 of them.